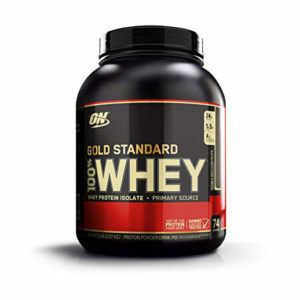 Leading the way for supplements, Optimum Nutrition’s Gold Standard 100% Casein is the go-to slow-releasing protein powder across the board. Containing a solid dose of protein and BCAAs whilst remaining low in overall calories in fat, it’s suitable for almost any goal and can add it into each and every diet. The biggest benefit is that Optimum Nutrition are a well-known brand within the fitness community and the results speak for themselves with many happy users over the years. Many supplement companies are producing products that don’t work, making it hard to find a brand that you can trust. However, ON’s have been around for so many years and has a long history of producing valuable supplements. 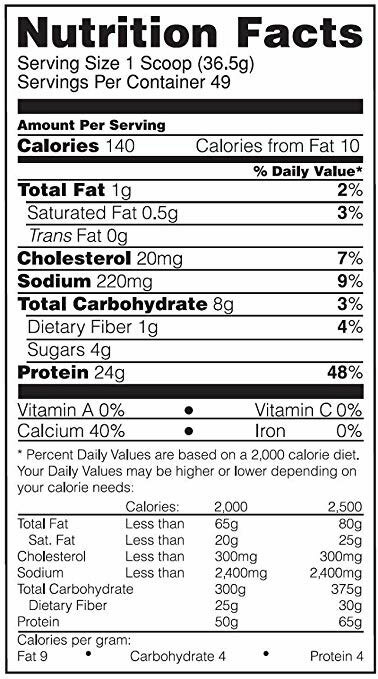 As well as this, the product is extremely versatile as its lack of calories means it can be used for bulking or cutting. The only negative is that if you’re bulking, you’ll need to eat calories from other sources which can be difficult if you have a low appetite. The other big negative is that because it’s dairy based, it’s unsuitable for those who follow a dairy-free diet such as vegans or in the case of lactose-intolerance. 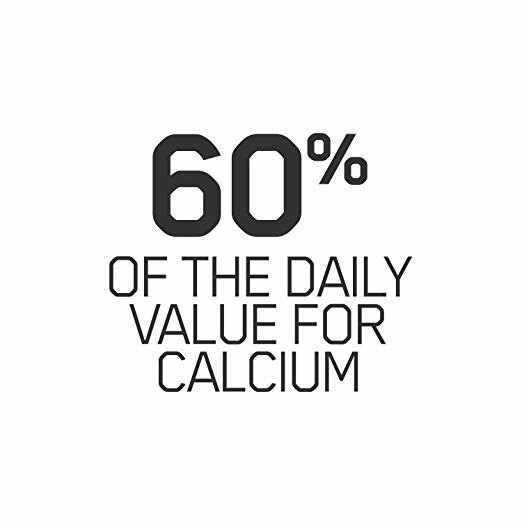 Casein is a slow-releasing protein. Compared to whey which gets fully digested in around 4 hours, it can be 8-10 hours before all the casein in your shake has been utilized. This makes it perfect before bedtime when you’re entering into a fasted state for a prolonged period. As well as this, it can help to keep you fuller for longer, much like oats. Whilst whey is perfect for after the gym when you want immediate protein to kick-start that recovery process, casein can be used at all other times of the day to constantly drip feed your muscles with amino acids. To use ON’s Gold Standard 100% Casein, mix one scoop with 10-12 ounces of either milk if you’re bulking or water if you’re cutting. You can do this in a shaker cup or blender. It’s not recommended to mix with a spoon as you’ll end up with clumps. You can also bake with the powder or mix it into your morning oats if you don’t want to drink it. 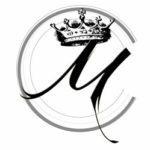 Micellar Casein [Contains Emulsifier: Soy Lecithin], Fat-Reduced Cocoa Powder, Flavor, Salt, Thickeners (Cellulose Gum, Carrageenan Gum, Guar Gum), Sweeteners (Acesulfame Potassium, Sucralose), Enzyme Complex (Amylase, Protease, Cellulase, Beta-D-Galactosidase, Lipase). 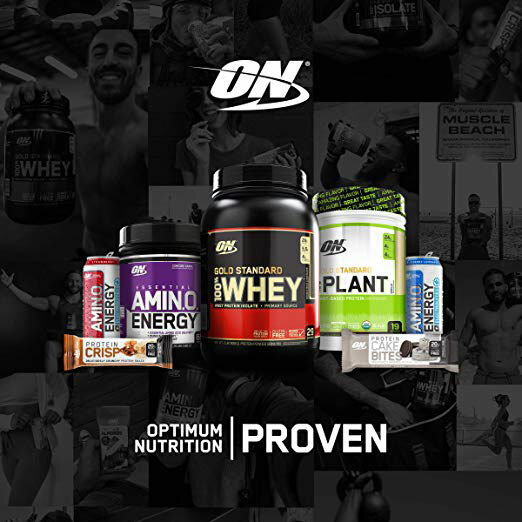 Any Optimum Nutrition product will rank highly due to its affordability, quality, effectiveness, flavour range, and reputation. As previously stated, the supplement industry is a minefield when it comes to finding not only the right product for your goals, but a product that actually works. With Optimum Nutrition you can be assured that you’re getting everything you pay for and more with their 100% Casein. 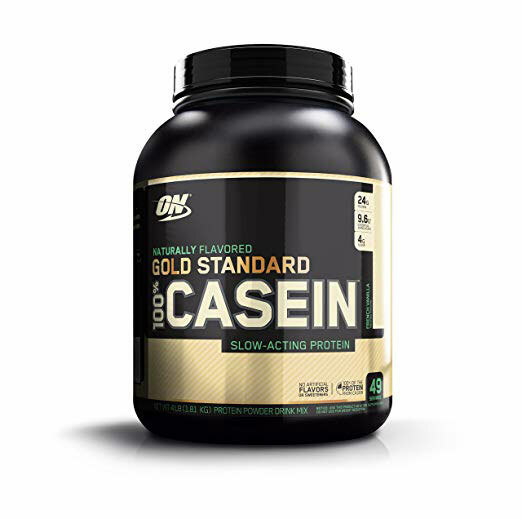 Optimum Nutrition’s 100% Casein is a fantastic product for slowly releasing protein after you’ve eaten it. If you really want to make the most out of your gym sessions, then drinking both whey and casein shakes is vital to get the combined advantages. This casein shake is better suited as a meal replacement, between meals, and before the gym whilst whey is better post-gym to get a head start on the recovery process.